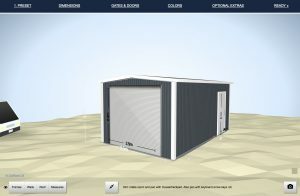 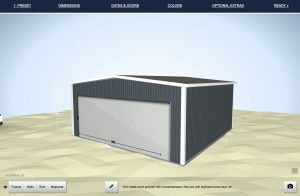 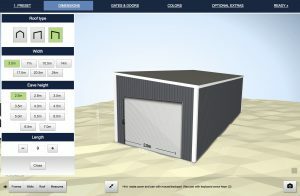 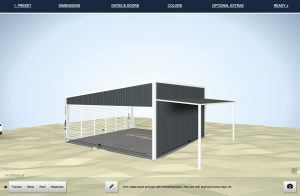 Industrial warehouse configurator. 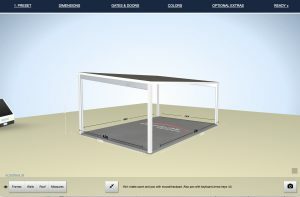 Let your customers make the design and get better sales leads. 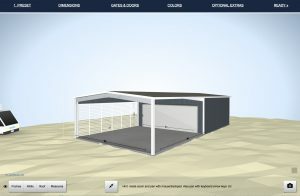 Working with this tool is inspiring and easy. 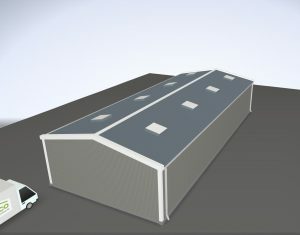 We have gathered all essential features for designing a warehouse or similar permanent or semi-permanent building. 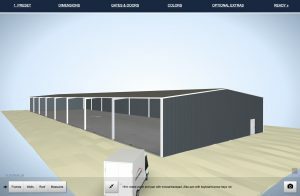 We set up all the details to fit customers needs.